Mandaña Task Force under reorganization - KUAM.com-KUAM News: On Air. Online. On Demand. Changes are in store in how the Guam Police Department plans on combating illegal drug. The Mandaña Drug Task Force was created by former Gov. Eddie Calvo through an executive order to create a network of dedicated law enforcement officers, both local and federal, to be on the front line to aggressively fight the war on drugs. It appears, however, they're reverting back to the way it was before." In the past two years, the task force has wiped off more than half million dollars of methamphetamines off Guam streets, made nearly 200 major drug arrests, recovered nearly a half million dollars from drug proceeds and confiscated a whopping $2.7 million worth of cocaine. We spoke to police Spokesperson Paul Tapao. "What this did for us is it solidified this partnership and gave us this structure in which we can now work collectively in addressing this issue," he said. But was once a task force comprised off multi-law enforcement agencies such as Guam Customs and Quarantine, the Port Authority of Guam, Guam International Airport Authority police, Department of Corrections, and federal law enforcement agencies will now only be comprised of GPD. We asked Tapao who's decision it was to dismantle the task force. "It wasn't a decision," he said. "It was really to honor requests from the agency heads with respect of the chief of police he had to honor those requests because they are their personnel, those requests were written and verbally requested that these officers be returned. We understood where it was going to go a task force it's developed to address an issue. It's not a permanent fixture. It was just to address what was really happening, to really grasp and pulling from that this is where we have a baseline structure where we can move forward." According to Tapao although it may appear the Mandaña Drug Task Force has been dismantled or dissolved, it's not. Instead, GPD Special Investigation Section will take over. The office consists of a sergeant and two or three officers. Tapao says acting Chief of Police Steve Ignacio is working on reorganizing his agency. We questioned whether it means there's still a specialized group combatting drugs now. 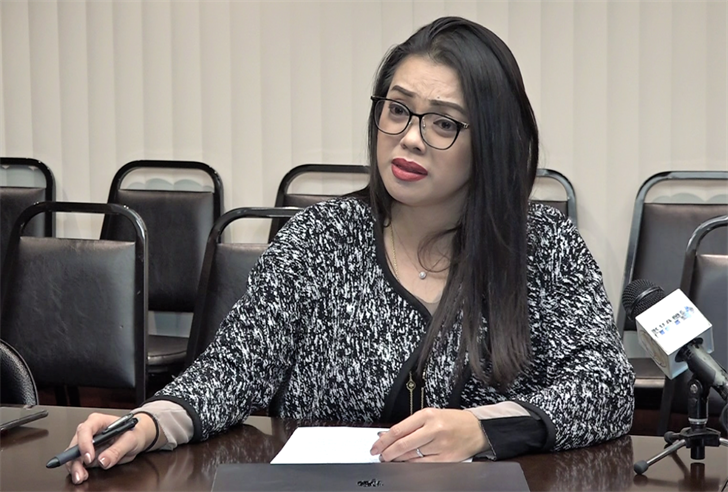 "Under our Criminal Investigations Division, CID, structure within our organizational chart within GPD, our special investigation section is going to be fulfilling and holding that void in which we're losing the MDTF," Tapao said. "So it's not only narcotics we're going to be dealing with but also the other vices such gambling, prostitution and maybe some white-collar crime. "It really involves a lot of intel, so the work that they're doing it's not going to go away. It's still going to exist but under GPD's criminal investigation division special investigation section." So does this mean Gov. Lou Leon Guerrero will rescind the former governor's executive order? We asked her spokesperson Janela Carerra. "It's kind of difficult to say what's needed but you know if it requires rescinding of the previous executive order then absolutely," she said. "The governor would do that or if it requires creating a new task force. It just depends on what GPD presents to the governor." We asked Carerra to further clarify whether the task force is still in effect in the perspective of the administration. "Right, the executive order is there," she said. "That's the law. It's, I mean, we're aware GPD is in the process of recognizing and we're just waiting on them to complete that so we can take action. The governor can take action if it's necessary." "Ray, the people of Guam are tired of task forces. They want action."